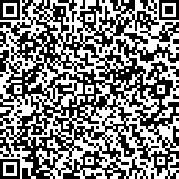 Self-Defense Firearms Training (SDFT) comes to you with today's most advanced, state-of-the-art training tool, which is "As Real As It Gets". The SDFT Advance Interactive Systems Professional Range Instruction Simulator (AIS PRISim) is the first simulator specifically designed by law enforcement instructors offering the ultimate in tactical and judgmental training flexibility for any size law enforcement agency. 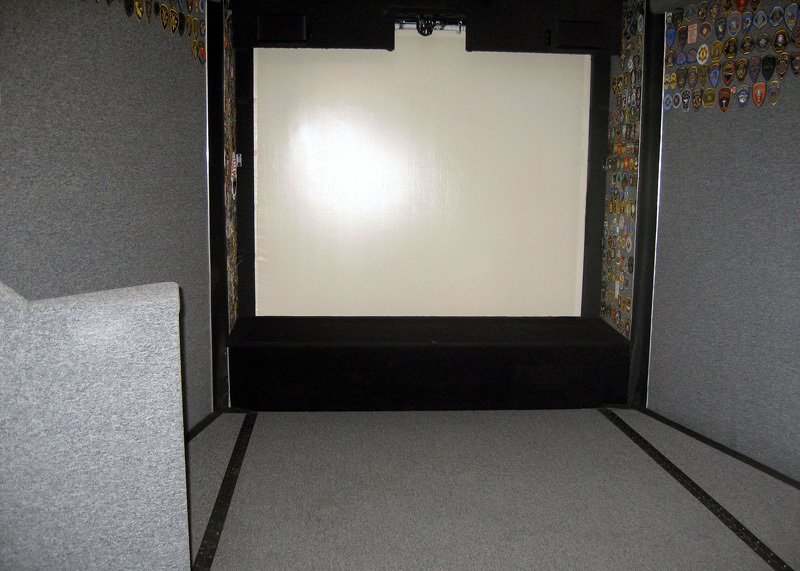 All training comes to you and is conducted in a trailer that is a mobile self-contained simulator, measuring 36 feet long, 14.5 feet wide (fully open) and 13.6 feet high. Self-Defense Firearms Training offers more than a dozen handgun models to choose from, giving your officers the ability to use a laser fitted gun exactly the same as their duty weapon. The firearms used will fully recoil, cycle and eject empty brass casings thanks to Airmunitions integration. Officers will perform magazine changes, tactical reloads and experience firearm malfunctions under stressful conditions. Because PRISim uses untethered weapons, officers have the mobility to quickly take cover, draw and fire exactly the way they normally would in real life situations. It is the only simulator with a patented return fire ShootBack™ cannon that fires a 68-caliber nylon ball traveling at 100 feet per second, at the officer during synchronized events in the simulation. Pepper spray, Taser, Beanbag, Pepperball guns, baton strikes, kicks and flashlights are also used to enhance use of force training. All training is captured for immediate feedback with capture video synched to the scenario. Instructors unanimously agree that use of this breakthrough technology vastly increases a trainee's ability to deal with several critical factors. Training with the AIS PRISim systems virtual reality simulator allows the trainee to experience the same levels of stress, heartbeat, respiration and blood pressure as in a real situation in order to achieve maximum benefit from training. This virtual reality Use of Force and Shooting simulator is "As Real As It Gets". Officers trained on the system leave their training sessions feeling like they've "been there." Without exception, they state that this is the most realistic training they've ever received. Officers who have been in actual gunfights state that what happens in PRISim scenarios is exactly the way it happens in the field. 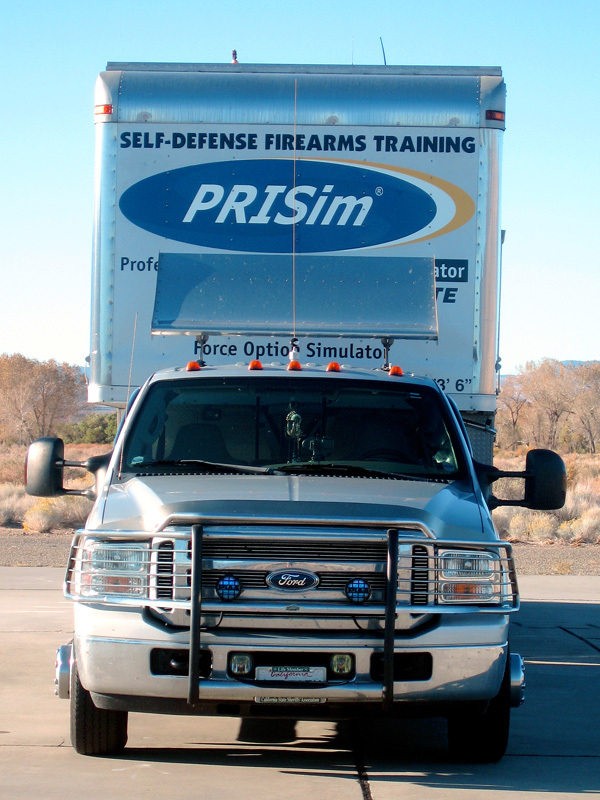 Self-Defense Firearms Training has extended the availability of the AIS PRISim in a mobile configuration and sets the new standard for law enforcement training by offering the most advanced technology simulation and realistic tactical training programs to officers in any environment or location. 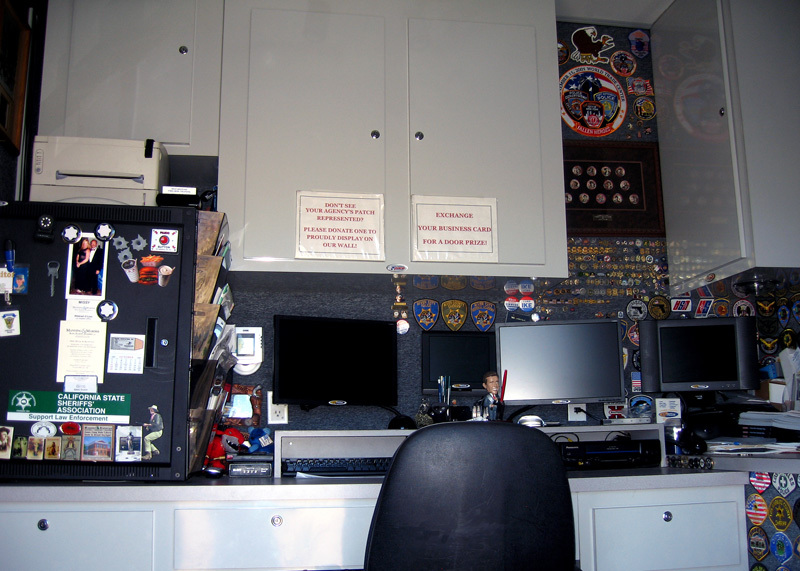 This training enables true realism with all aspects of the law enforcement judgmental training experience and is designed to effectively prepare law enforcement personnel to react appropriately in a variety of highly volatile life-threatening situations while saving their own lives and those of their fellow officers, victims and innocent bystanders. 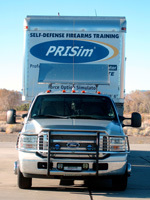 Self-Defense Firearms Training realizes that small departments do not have the same resources as large ones. 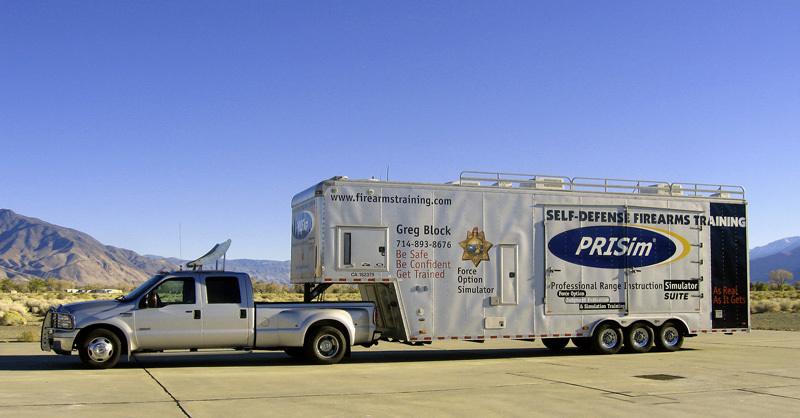 All law enforcement agencies whether in urban or rural communities, now have options for obtaining the same level of advanced tactical and judgmental training in accordance with their budget, training schedule and on-site requirements with our mobilized training trailer. 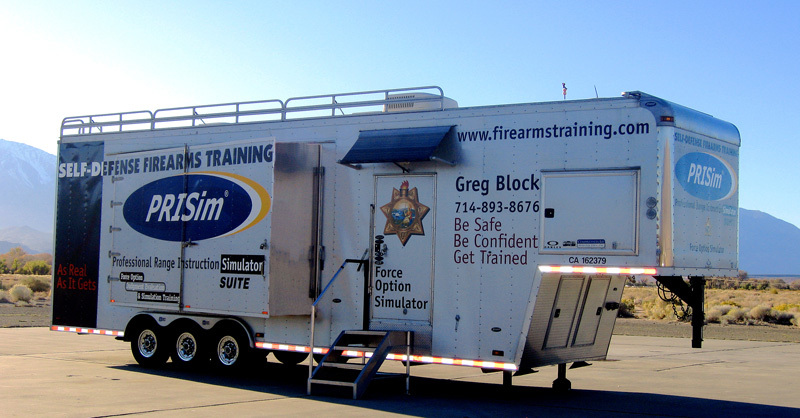 The Self Defense Firearms Training mobile PRISim training simulator will enable groups of smaller regional law enforcement agencies to pool their resources and get trained on-site. Led by Greg Block, the training our instructors can bring to smaller departments equals that provided by big city agencies.